During the second half of the 20th century, as the race and competition to become the first person to summit the highest peak in the world - Sagarmatha (more popularly known as Everest) started - Western explorers and mountaineers passed through these villages on their way to the mountain. Among them was Sir Edmund Hillary, who in 1953 with Tenzing Norgay became the first recorded people to summit Everest. The Hillary foundation has been one of the most active philanthropic organisations and supporter of the Himalayan people. 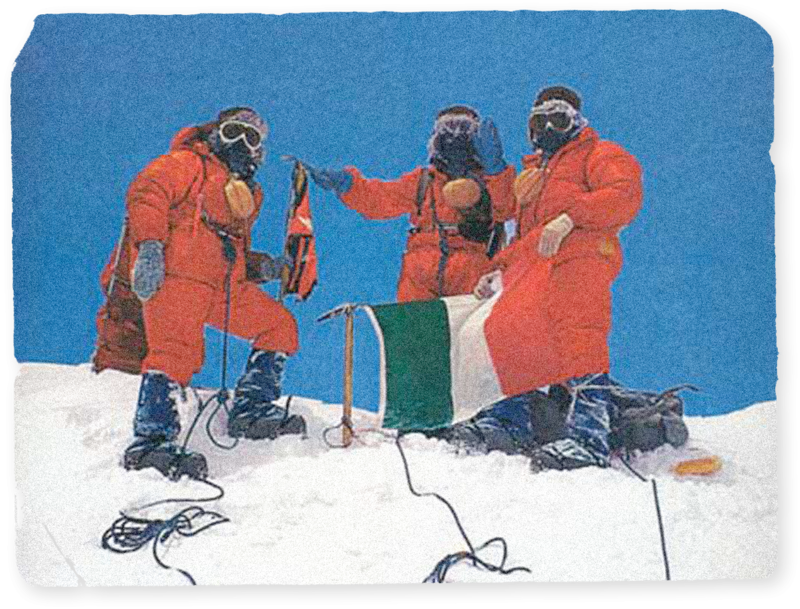 In 1973, when the first Italian Expedition to Everest took place, it was led by Italian explorer, Count Guido Monzino. Legend has it that on one of his rest days in Phaplu, one evening, as it usually happens, clouds covered the entire valley and from where he was standing it seemed like a lake of clouds and he said “this is Lago di Como Himalayas”. Our story starts in the early 16th century when a group of Eastern Tibetans fled Tibet to escape religious persecution. Following holy scrolls, they crossed over the Himalayas searching for Beyul - they found a small hidden valley called Junbesi set in the foothills of the Eastern Himalayas of Nepal. This tribe of people later went on to identify themselves as Sherpas, which in Tibetan means people of the East. With time, the Sherpa tribe grew and started to disperse throughout the different valleys in the Solu-Khumbu region of Nepal. At the start of the 20th century, one tribe leader, Sange Lama and his family and disciples arrived in Phaplu, a valley about 30 kilometres south of Junbesi. This small tribe settled in Phaplu where Sange Lama, became the most influential person in the Solu Khumbu region of Nepal when he was made warden by then Prime Minister of Nepal. First Italian Expedition to the Everest led by the great Italian explorer Count Guido Monzino. 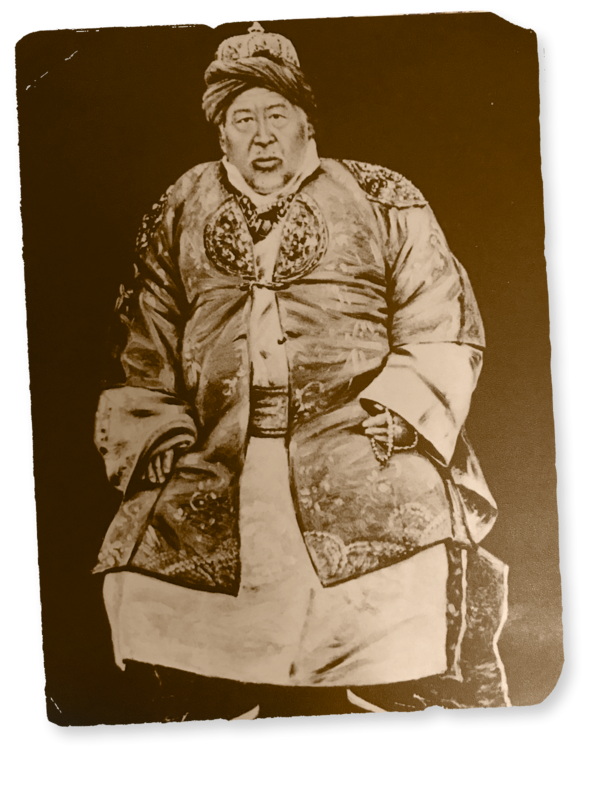 After his successful ascent of Mount Everest, Count Monzino returned back to Phaplu and met with Ang Tawa Lama, the grandson of Sange Lama, it was during this rencontre that the idea to create a Himalayan chalet was born. To this date, the Italian Expedition to Everest remains one of the most opulent and extravagant. Around 6,000 porters were employed to carry mountaineering equipment, as well as cigars, risotto, pasta, gambling tables, sofas and silver service. Remarkably today, some of these items that made their way to base camp and beyond, are now part of the decor at the chalet. Together Monzino and Ang Tawa Lama built the Chalet and named it Hotel Del Sherpa. This hotel became a wild mysterious destination in the mountains and was later home to Sir Edmund Hillary and his family for many months when he rented the house to oversee his Himalayan Trust projects to build hospitals and schools in the region. He would later describe it as his “Happy House”. settled there. The Happy House could have been lost forever in that turbulence. Instead, R.P. handed it over to a dear friend and filmmaker, Christopher Giercke, who had been coming to the valley since the 1980s to make a movie, Lord of the Dance: Destroyer of Illusion. Christopher kept the spirit of the house intact as his own family home visiting it often with his family and friends and using it as his base for the many philanthropic endeavors he led in the Solu Khumbu region. Until the summer of 2017 when Ang Tshering Lama (son of R.P), decided to invest in the home’s renovation and open it up to a larger audience as the hub for all Beyul Experiences adventures and to rekindle Hillary’s description- making it once again the ‘Happy House’. The house has gone through extensive structural restoration and major renovation to bring it up to comfort and modern safety standards while keeping the traditional charm of a Himalayan house. Surrounded by pine trees and an organic garden, the house will be the point of departure for all Beyul Experiences. We invite you to come and visit us in this unique and historic setting where the old and new converge and new stories and experiences are created.